Most of the guests on the Jazzfuel Q&A are firmly rooted in the jazz world. From promoters and publicists to musicians and agents, these people spend their days thinking JAZZ. 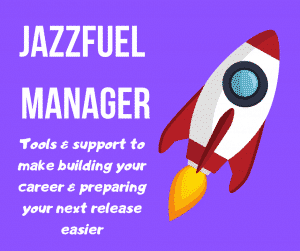 However, I really believe that in order to build a viable career as a jazz musician in 2016 and beyond, it’s important to study other areas – from marketing and branding through to tech – in order to really get ahead. This week’s guest is a digital strategist who I discovered via this super interesting article published on Medium about music curation and how to get onto the radar of the gatekeepers. 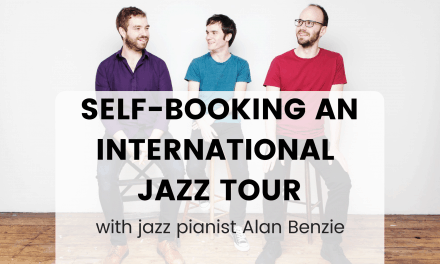 Whilst Bas is not directly writing about jazz, a lot of his ideas and articles are not only applicable to the jazz industry, but should be on your radar when planning how to grow your profile and career. The cost of not having an online strategy to your long term career. Why you should think like a pirate when releasing new music. “AND THEN?” Why this is the key question to ask yourself whatever you are doing online. Obviously good music is crucial, but how much further can a clever and consistent online strategy get a band today? In a society where nearly everyone is online all of the time through our smartphones, it’s better to approach this question as what the cost of not having an online strategy is. You want to have exposure of your music, and you want to be able to bring people to shows, get booked, and get people to buy your music. All of that is so much more difficult when you have no way to inform people who might care about your music that there is something new for them. Now imagine doing that consistently for 5 years, or a decade, and imagine not doing that at all. It’s a big difference. A lot of touring jazz artists still follow the classic album cycle, releasing every 18 months or so. Do you see benefits in adopting a more frequent single/EP-based approach? I always recommend this to artists in dance and hip hop – genres for which it is relatively easy to produce and release music (ie. you don’t need a big studio, or a full band). The reason why this type of release strategy works well is because it helps you stay top of mind for fans and followers. We’re bombarded with large amounts of information and music services always have something new to recommend, so how do you get people to remember you? Can you really wait 18 months? The answer in some cases may be yes. People can fall in love with your music and remember you 18 months from now. Many people who like your music won’t develop that same type of relationship, so if you’re interested in expanding your audience and the income you get from music streaming, for instance, then I think it’s definitely beneficial to release music more frequently. Journalists love writing about new music and don’t find it all that important to write about releases that are more than 1 or 2 months old. Algorithms used by music services rank new ‘content’ more highly. If it’s too difficult to get into the studio regularly, there are alternatives. You can record an album, and then while you’re on tour, you could work with people from other genres to let them create cover versions or remixes of your work. You can then publish those as 2 track releases. This way you can consistently appear in the feeds of people that are following you, or get recommended by streaming services’ algorithms, such as Spotify’s Release Radar. In terms of building a profile as an artist, do you see any specific genres as leading the way here and, if so, any specifics that other genres (like jazz) should look to emulate? It’s valuable to look at musicians that target younger audiences, regardless of the genre. When you target these audiences, you’re playing in their arena, by their rules. So you see people building personalities on YouTube or Snapchat, and suddenly every DJ has a logo. 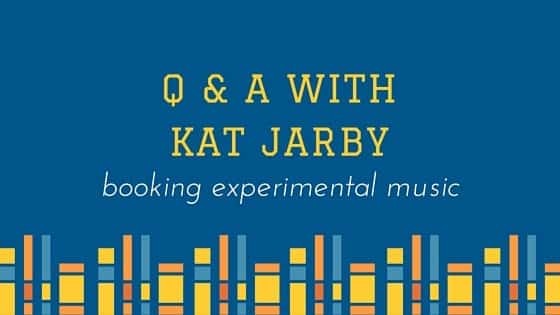 So, for jazz it might not be as relevant to do exactly the same things, but what is valuable is to understand how artists and bands create a narrative for themselves and their fans. This helps them stay top of mind and give people a feeling that they’re part of something. If you had finished recording your 1st album and were preparing to release it in 3 months time, what would your top goal be between now and then, in terms of preparing to make the most of that? I would consider how this album is going to help me build my fanbase, so: how can I get as many people as possible exposed to my new music? How do I then lead them somewhere to keep their attention? How do I sustain that attention? How do I get people to talk about my music so that I can increase my reach even further? And how do I monetize them? Each of these questions may have a lot of different answers, so you have to rank them in order of importance, because you might not be able to do everything. To understand the importance, you must understand who your audience is, and it also helps if you have data on what worked and didn’t work in the past. Get your existing fanbase to start talking about your release somehow. Get existing listeners to sign up to your mailinglist, or follow you on social media channels. Use a tool like Soundcharts to see what popular playlists your music is on and try to pitch curators with the new music when it’s released. 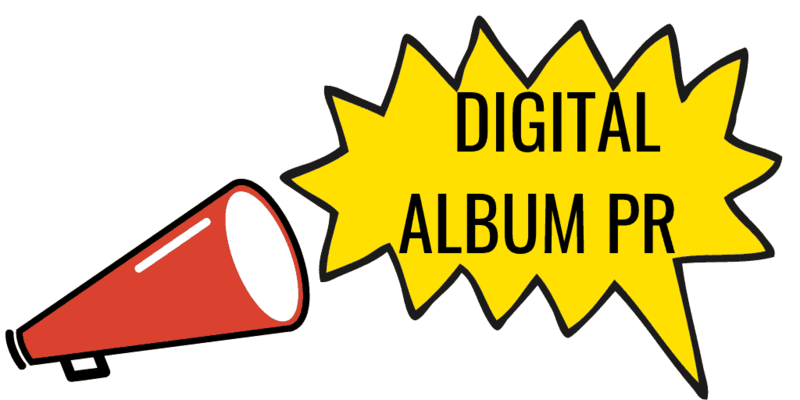 Use a tool like Thunderclap to get fans to simultaneously post a message to social media when my new album goes live. Buy 1, send a free copy to a friend. Listening party with influencers, etc. Release a special vinyl edition. Use existing playback data to determine where to tour, etc. There’s a lot I would do, but at minimum I’d want to be sure that the people I want writing about me would have to be making a conscious decision not to write about me (in other words, you can’t be obscure to them); I’d want my fan base to know the exact moment that the album drops; and I’d want to have my site and social media presence set up in such a way that it allows me to capture as many people as possible in a way that makes it easy to reach them again. Personally, I think newsletters are best for that. You wrote about how using free downloads to create excitement is becoming a thing of the past. What new methods do you see for reaching new listeners within your target market? Stream. Be on YouTube. Be where your fans are. Payouts may not be great, but to me that means finding alternative ways to finance your music career, like through crowdfunding projects or something more sustainable like Patreon where people commit to pay something every time you release something. If you pull your music from the platforms where people are looking for it, you’re going to have a hard time reaching new listeners. Instead, try to better utilize these platforms and leverage them to bring your fanbase to a place where it’s easier to monetize them. People pay premium fees for unique goods or experiences, but not everyone will do so, so you need exposure to many thousands of people to attain those fans that will spend the most on you. What’s your opinion on using Facebook advertising to build a fanbase? It can be useful, but let me say first that there are many more dumb ways to use ads than there are smart ways. I don’t recommend using ads if your goal is just to boost your follower account. In fact, I don’t think it makes much sense to use paid ads to promote music on Facebook. The best way to use them is to try to reach people who have listened to you, people who are already fans, but are not yet fans of your Facebook page. I’m going to target ads at people who like related musicians, because they’re likely to have also listened to my music. And then? Then I want them to like my Facebook page. This means I have to make my page appealing and interesting enough for people to consider having my posts appear in their news feeds. And then? Then I want people to come see my shows or buy my music. This means you have to verify is Facebook is the best way for both of those goals. And then? Then you will do some research and may find that due to Facebook’s Events functionality, it works for getting people to your shows, but for selling music, newsletters may perform much better. And then? Then you might pin a post to the top of your Facebook page to try to encourage people to sign up to your mailing list. And then? Then you can run your campaign, but with a small amount of money at first, to see if your hypothesis is true, in other words: what ratio of people ended up signing up to your mailing list? And then? How do you feel about that ratio? Is there anything you could do to make that number higher? Test it again. And then? When you feel satisfied, you could add some more cash to the campaign. You can keep asking “and then?” infinitely. Once you get good at looking at the data, you may come to the conclusion that for every 1,000 likes on Facebook, 10 people will buy your album, earning you $5 per person. If that’s your only revenue stream, it means each like is worth $0.05 per album release. Having this Average Revenue Per User (ARPU) helps you better determine your ad spend. Ads can help speed things up, but the cool thing is: people love sharing great music. Good music is inherently viral, so to most musicians I’d say focus on making great music, giving your fans good ways to share your music and then make sure to capture the people who discover you by getting them on your mailing list. 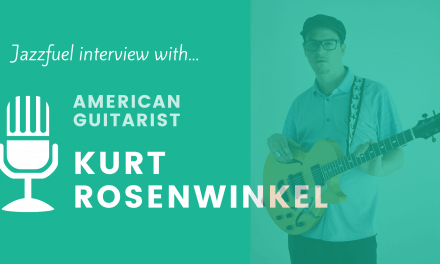 You make some good comparisons between being a musician and being an entrepreneur. Do you have any go-to books or publications you recommend to artists which help get into this mindset? Not really. I have one foot in the startup world and another in the music world. I think music companies can learn a lot from startup methodology, so books like The Lean Startup by Eric Ries are great material. Specifically applied to music, I haven’t seen anything that’s extraordinary enough. There’s some stuff out there, but there’s so much value in learning from how people work and think in other sectors, that I think it’s too big a sacrifice of limiting yourself to music-oriented material regarding ‘the artist as an entrepreneur’. Especially in longer format stuff, like books. But check out Dotted Music’s blog, Budi Voogt’s blog, my thesis about music marketing, and this article about ‘growth hacking’ music and the links therein. There is a lot of data online. What is a simple piece of data that an unsigned DIY artist can find and use relatively quickly to help how they are approaching their project in some way? It depends. I think it’s really important to understand early on who is listening to your music. Know your audience. This doesn’t even have to come about quantitatively, but that kind of data may help. It’s also important to understand why people are listening to your music. So if you’re getting some streams on Spotify, understand what playlists your music is in and how those playlists are titled. A tool like aforementioned Soundcharts can help. You might be in “after work”, “morning coffee”, “evening romance” playlists, etc. Those kind of labels can help you in how to more effectively position and describe your music. I think newsletters create valuable data also: it helps you understand how willing people are to give you access to their mailbox, whether they actually care to open your emails, and whether they click the links inside the emails. Social media can be a bit of a blackbox, because not everybody sees your posts and it’s not clear who exactly opened your link on social media. New artist: to Spotify or not to Spotify? Sharing playlists with your fans: what’s the best way to maximise the impact of these? Always ask “and then?” Ok you shared a playlist, and then? Do you want to use it as a tool for fans to stay up to date with your music? Or do you want to get new fans? Ok you got a new listener on your playlist – and then? By asking that question, you can learn how to maximise your impact. To not leave you empty-handed: how about you team up with some musicians who make similar music, then all choose one song, add that to a playlist, and send that to all of your fans. Then update the playlist once a week, month, whatever. This way you all get to grow your audiences and keep your fans in the loop with new music. I don’t know about you, but I have about a week’s worth of reading to catch up on now, based on the ideas and links Bas shares here! If you get together with some other musicians to complete the task (see his final answer just above), post it in the comments section below and I will share on Twitter & Facebook. 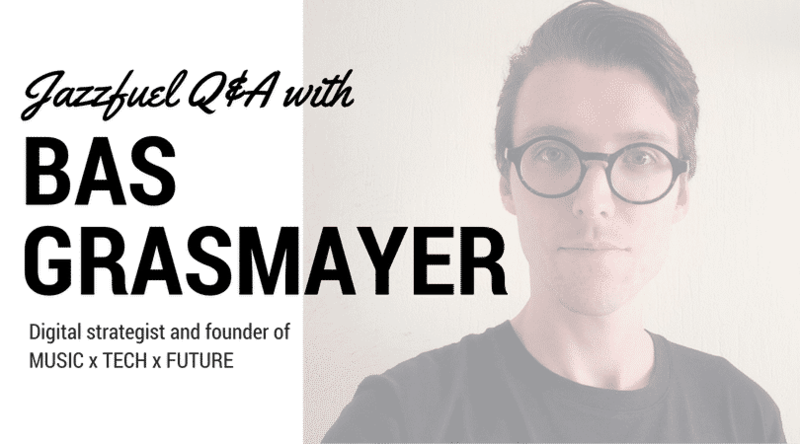 Bas Grasmayer is a digital strategist and founder of MUSIC x TECH x FUTURE, a consultancy agency and weekly newsletter discussing trends and innovation in technology and how they may impact the music business. Currently based in Amsterdam, he advises startups, labels, and artists around the world on applied innovation, growth strategy and monetization. He’s worked in various roles in music & tech and is the former Product Lead of Zvooq, a large music streaming service in Russia & the former Soviet Union.